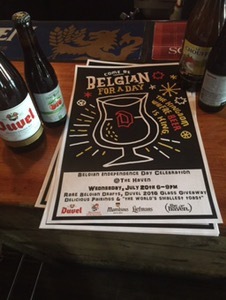 Help us celebrate Belgian Independence Day this Wednesday with our friends from Duvel. New Chef Louis DeVita has put his touch to a special menu of Beer and Food pairings with a Belgian touch. Beer Beer Beer vs Food Food Food.